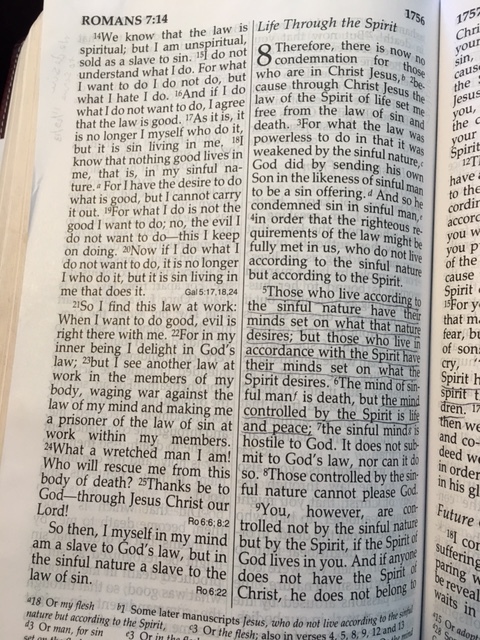 We are just starting the long trek of memorizing Romans 8. I know God has some special things to reveal to us as we meditate on these words by saying them over and over and over. The law was never going to make us righteous. It just pointed out how unrighteous we are. How much we need a Savior. There is a righteousness and a holiness and a justice part of God that demanded payment for our sins. But we were never going to be able to pay that debt because of our rebellion and sin. So God sent Jesus to die for us. And God adopted us as his children. For God so loved us. a SaviorBiblefaithFor God so loved the worldGod's Wordholy and just Godits a journeyrighteousunrighteous.